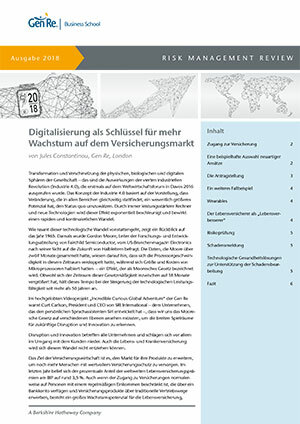 Die Digitalisierung verändert zunehmend auch die Versicherungsmärkte. Der Artikel zeigt aktuelle Entwicklungen im Vertrieb, Produktdesign, Underwriting und in der Schadenbearbeitung auf. 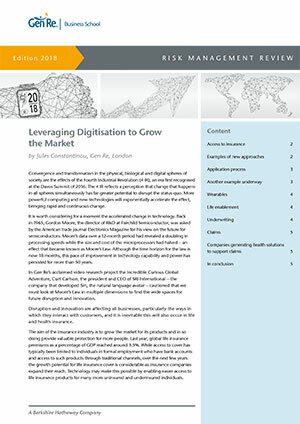 Successful innovation in life and health insurance can only happen through a collaboration between reinsurers, insurers and new tech businesses, where each party brings its insights and skills together for the ultimate benefit of the customer. 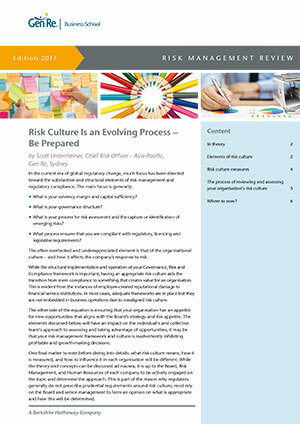 We discuss different elements of risk culture within an organisation. Reviewing the risk and compliance frameworks as part of a wider risk culture review is a powerful and reinforcing approach to organisational change. The latest financial crisis has had negative impact on the European economy, particularly on the financial services sector. 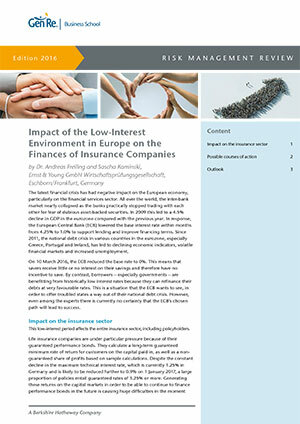 Please read about its impacts on the insurance sector and possible courses of action to increase investment earnings.